Alison Chambers (alison.chambers@emeraldmedia.co.uk) reports for BTN from EBACE 2016 in Geneva and sees bright skies ahead despite ‘a bit of turbulence’. 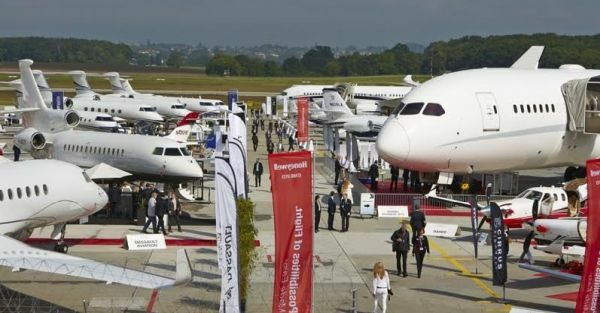 Talk of a triple-dip recession as business aviation activity in Europe dropped 2% last year was at odds with some of the exciting developments being aired (or whispered) at this year’s annual EBACE business aviation show in Geneva. Rather, EBAA CEO Fabio Gamba hoped that unlike the recession of 2009 and 2012-2013, figures for 2015 could be just “a passing turbulence”. Textron announced the development of a new single-engine turboprop, designed to have a range of 1,500nmi with a top speed of 285kts. 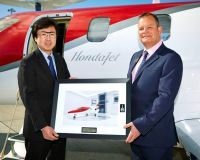 The market for this category continues to garner interest, buoyed by hoped-for new legislation from EASA expected late this year that will enable single engine business turboprops to be available for IFR public charter in Europe (see BTN BBGA On Tour, 21 March). 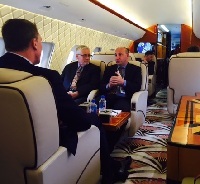 The show started well with an exclusive media flight hosted by Flexjet over the Alps aboard a stunning art deco Global Express. The US fractional and charter company, which ordered the Aerion Supersonic jet at least year’s NBAA Show, had a strong showing in Geneva, announcing its plans to launch Flexjet International in Europe later this year. Previously owned by Bombardier, Flexjet was bought by the Directional Aviation Capital Group three years ago. Its European (mainly charter) activity will start with eight Nextant 400XT light jets, an aircraft modelled on the Hawker 400 but with new engines, avionics and interior. Flexjet was also named at the show as the undisclosed customer of 20 new Bombardier Challenger 350 aircraft, boosting its order-book of the type to 40. The business aviation companies owned by Luxaviation, which co-exhibited at EBACE, are London Executive Aviation, ExecuJet, Fairjet, Unijet, Abelag, MasterJet – a cluster of business aviation operators that represent a great advertisement for a united Europe, collectively supporting 250 business jets. Hansen is not stopping there, however. He wants to grow the brand further and is working toward a public offering in 2018. Ahead of this, we can expect to see all these known brands phased out in favour of Luxaviation UK, Luxaviation France, Luxaviation Germany and so forth. But there is still a great deal of positivity in the niche end of the market. Last year at EBACE, UK-based luxury charter operator Acropolis Aviation announced a launch order for the Airbus ACJ320neo. This year, it was back to disclose the cabin designer of the new variant would be Alberto Pinto, which worked on the design of its original ACJ319. Air BP, the fuel services company, sponsor and exhibitor at EBACE, announced its new Environmental Solutions offering – serving to meet the OEM’s wish to reduce the cost of fuel and satisfying operators and airports as they seek to achieve a lower-carbon future. Its new service has been launched to help to mitigate carbon impact across the sector with its Reduce, Replace, Neutralise approach to carbon management. 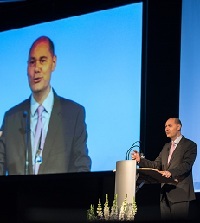 In a welcome move for an industry that takes the environment very seriously, Air BP offered delegates the chance to calculate their emissions to Geneva – and offset them for free. Next year’s EBACE will again be at Geneva from 22-24 May.